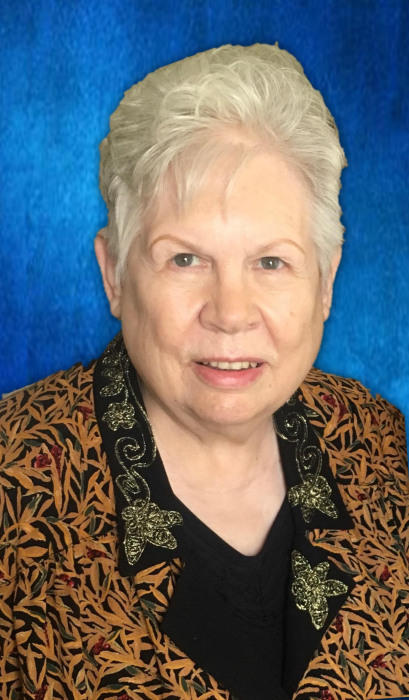 Pat Ellis, 80, of Moberly, died Thursday, April 11, 2019 at home, surrounded by her family. She was born April 7, 1939 in Fairmont, Minnesota to Robert and Helen (Bandy) Knabe. Survivors include her children; Tracy Ridgeway and her husband Kevin of Moberly and Michael Ellis of Carmichael, CA, three grandchildren; Meghan, Rachel and Emily Koch, two sisters, Joan Gordon of Texas and Helen Kay Varela of California, nieces, nephews, other relatives and friends. She was preceded in death by her parents and her sister Donna O’Neill. Pat was deeply devoted to her family, friends and the Lord. She was a member of the Sunnydale Seventh-Day Adventist Church, where she communed weekly with her extended church family. Growing up in a musical family she shared that love with her own family. Pat was very proud of her granddaughters’ musical, artistic and academic achievements. In her later years she loved bird watching and appreciating the beauty of Missouri. Services honoring and celebrating Pat’s life were held at the Sunnydale Seventh-Day Adventist Church, Centralia, MO. Private committal services will be held at a later date.